Sotheby’s has announced the auctioning of three important diamonds at its Magnificent Jewels Geneva Sale coming up on May 13, 2014. The three diamonds, the 100.9-carat “Graff Vivid Yellow” diamond, the 31.34-carat, D-color, Type IIa “Victory diamond,” and a 103.46-carat, round brilliant-cut Graff diamond, all set in rings are exhibited at Sotheby’s London, in anticipation of their sale in Geneva on May 13, 2014. 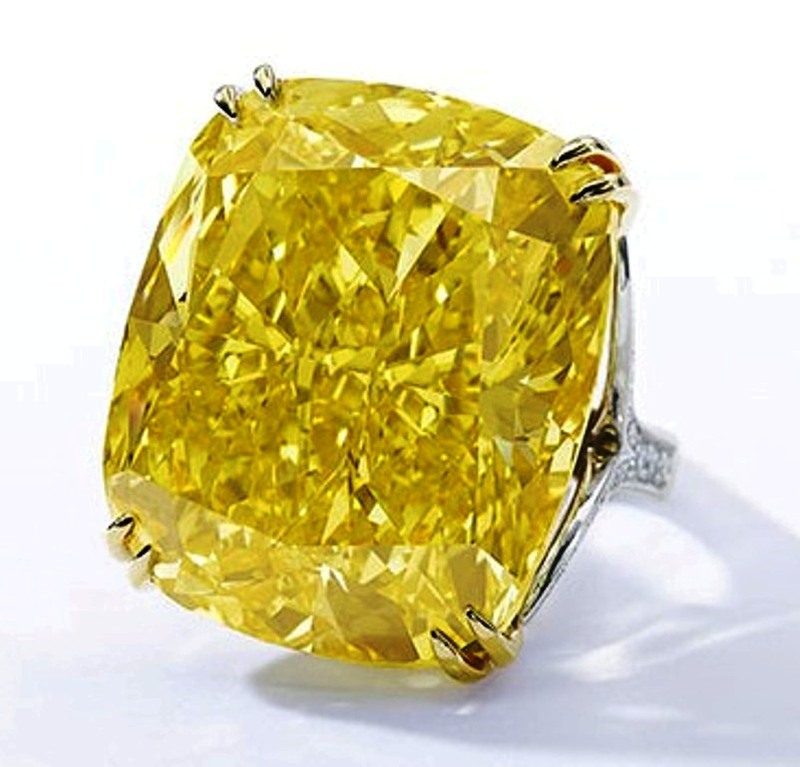 The 100.09-carat, cushion-cut, fancy-vivid yellow “Graff Vivid Yellow” diamond originally named the “Dream Diamond, was cut and polished by master cutter Nino Bianco in 2006, from a 190.72-carat rough diamond purchased by the “King of Diamonds” Laurence Graff when he visited Kimberley, South Africa in 2005. The unprecedented fire and brilliance of the finished stone earned for it the well-deserved name “The Dream Diamond,” which was originally set as a pendent to a magnificent necklace made of pear-shaped smaller white diamonds, and was unveiled to the world in October 2006, by Laurence Graff, at the London’s Kensington Palace, after he received the “Queen’s Award for Enterprise” in international trade, for the fourth time. The diamond now mounted in a ring also designed by London-based Graff Jewellers, is described by the auction house as “of exceptional beauty and extraordinary fire and brilliance” with a “sensational daffodil yellow” color, and is expected to fetch between US$ 15-20 million. Please click here for our dedicated webpage on the Graff Vivid Yellow diamond. 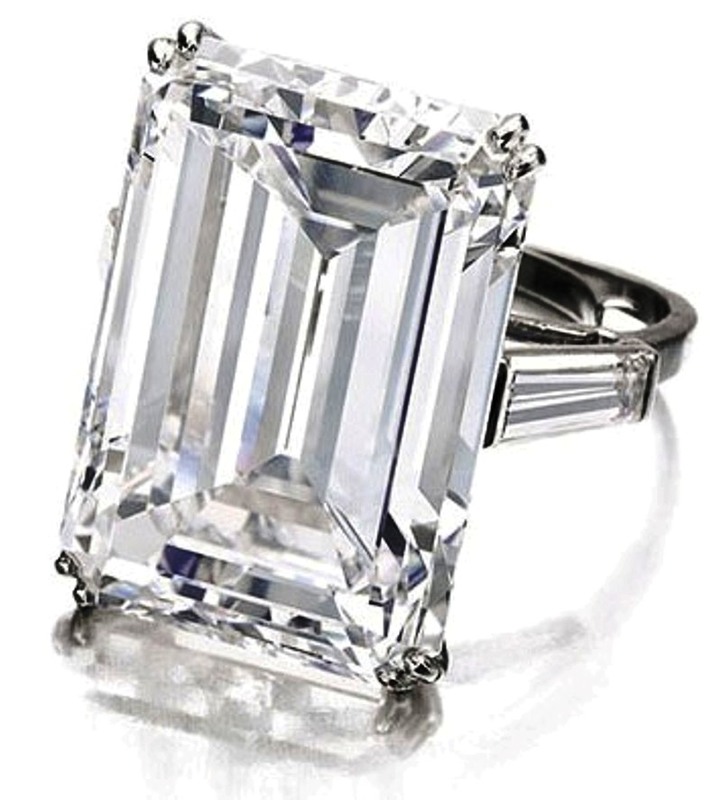 The 31.34-carat, step-cut, D-color, Type IIa, potentially flawless “Victory Diamond” was the largest of the 30 satellite diamonds cut from the 770-carat “Woyie River” rough diamond, the largest ever alluvial rough diamond discovered in Sierra Leone in 1945, and cut and polished in the early 1950s. The diamond was named in honour of the Allied victory in World War II. The diamond set in a ring with baguette-cut diamond shoulders is estimated to fetch between US$ 5 million to US$ 8 million. 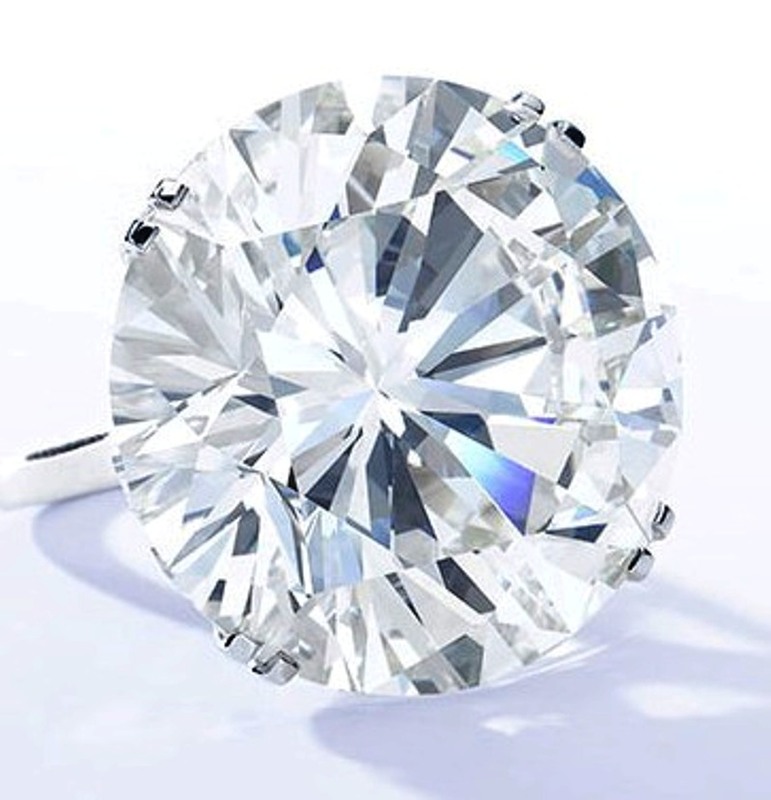 The third diamond ring also designed by Graff Jewellers incorporates a 103.46-carat, round brilliant-cut colorless diamond, one of the largest round brilliant-cut colorless diamonds known, and has a pre-sale estimate of US$ 3.5 million to $5 million placed on it.